Apple reported an unexpected decline in iPhone sales on Tuesday night, although its profits rose slightly as it managed to sell more expensive versions of its smartphone. The American tech giant said it had sold 50.7m iPhones in the three months to the end of April, 1pc below the same period last year. The figures fell slightly short of Wall Street expectations. Apple, which reported its first ever decline in iPhone sales last year, had returned to growth three months ago and analysts had expected a second straight quarter of improving sales. Despite the fall, Apple increased profits and revenues as it sold pricier versions of its latest iPhone 7 and posted growth in its vast services division, which includes app downloads, music sales and cloud storage. Revenues in the period were up by $2.3bn to $52.9bn (£40.9bn), while profits increased by $513m to $11bn. Sales of its Mac computers improved, while those of its iPad tablets continued to fall. Apple does not reveal sales of its Apple Watch, but its chief executive Tim Cook said sales had doubled in the last year. 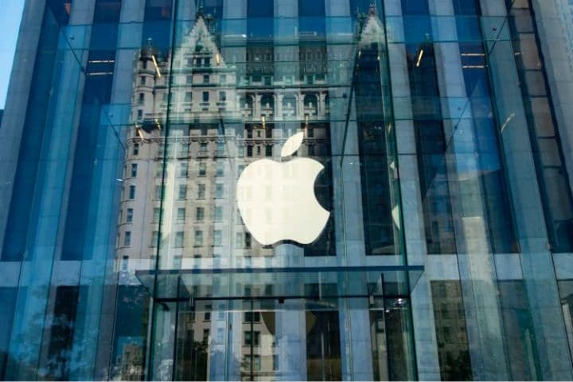 Apple softened the blow by announcing a $50bn increase to the company's dividend and share buyback programme. The company's billowing cash pile surged past a quarter of a trillion dollars to $256.8bn. Despite unit sales of the iPhone falling, revenues from the division increased due to strong sales of the larger iPhone 7 Plus, which unlike the smaller model boasts an improved dual lens camera. "We are proud to report a strong March quarter, with revenue growth accelerating from the December quarter and continued robust demand for iPhone 7 Plus," Mr Cook said.